Guys will love this. 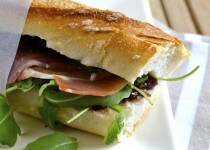 Nothing matches the simple pleasure of a well made sandwich!! Remove and discard the center of the bread. Spread Olive Tapenade with Garlic on the bottom half (enough to cover). Top with strips of roasted red pepper, goat cheese and marinated artichokes. Drizzle with Balsamic Vinegar with Garlic. Add layer of prosciutto and salami slices and drizzle again with vinegar. Finish topping with herbs and cap with top half of bread stick. Double wrap in baker’s parchment paper, wax paper or plastic wrap. Secure wrapped sandwich loaf to wood cutting board with twine. 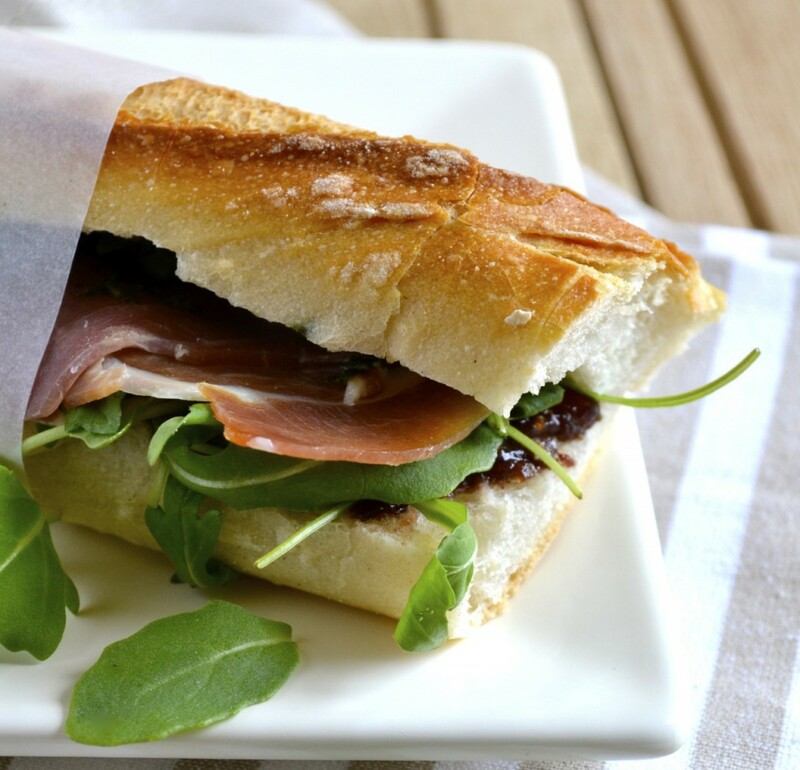 Place a brick (or cast iron skillet) on top of sandwich for at least 1 hour to flatten. Taking care not to cut paper, slide a serrated knife between the sandwich and cutting board. Place sandwich (brick removed) into picnic basket. When ready, unwrap, slice and serve.